Help your business or home office reach a higher level of sustainability in 2016 with money saving Managed Printer Services analysis tools from Laser Line, a Washington D.C. area based company dedicated to helping you improve your bottom line. While ads for the latest tech toys might like to paint this as the paper-free era, any business owner will tell you that paper is still a huge part of daily operations and a major business expense. The fact that more employees are bringing in devices from home to use at work has made managing printing cost accountability more difficult for many owners and managers. That’s why Laser Line has started offering Managed Printer Services for all of your office copiers. The team at Laser Line can help you manage your printing costs by providing comprehensive supplies, acquisition services, and document output analysis. The software your current printing system utilizes most likely only gives you the total printer usage numbers, but Managed Printer Services from Laser Line can give you the specifics on who is printing what. This can help you identify inefficiencies in specific departments, create new ways for your employees to communicate, and implement new systems for streamlined sustainability. At Laser Line, helping clients control their print environment investments and maintaining a high level of savings by monitoring usage is a daily occurrence. 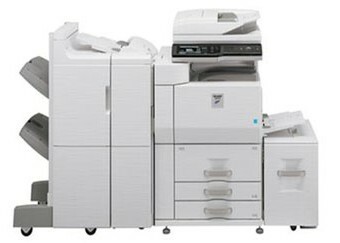 If you want to cut your printing costs and enjoy doing business with a company that offers full-service copier repairs, installations, and analysis, explore a partnership with Laser Line. You can visit them online to view all of their innovative business copier solutions or call them at (410) 636-1700 for specific questions.